This Miami Vice Juniors T-shirt features Crockett and Tubbs with the city and palm trees in the background and Miami Vice written underneath. 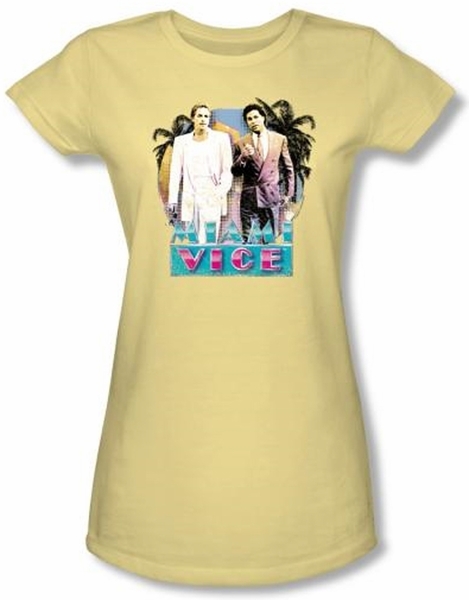 Our Miami Vice Juniors T-shirt is a great 100% preshrunk cotton baby doll t-shirt for any Miami Vice fan. Miami Vice is an awesome 1980s TV show. Available in Small, Medium, Large, XL!